You are responsible for making your own lodging arrangements. If you choose to stay in a residence hall, or choose one of the hotels in Bowling Green, you can register here. 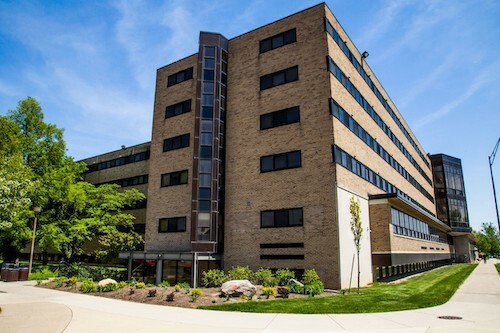 You are invited to stay in Founders Hall, one of the campus residence halls. You’ll be right around the corner from the meeting area, and from the dining hall (The Oaks). 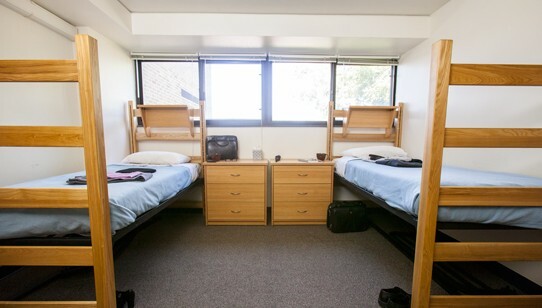 All of the beds are singles–either one bed or two beds to a room. All beds are twin beds. No TVs in the rooms. Groups and families can reserve an entire suite (3-6 beds). The number of linens and breakfast vouchers provided depends on the number of persons registered. No, it’s not as comfy as a motel room. But it’s convenient and inexpensive. Reservation deadline is June 30, 2019 or when room availability is filled. You can make residence hall reservations here. Each two-bed room is in a suite which includes three identical rooms. 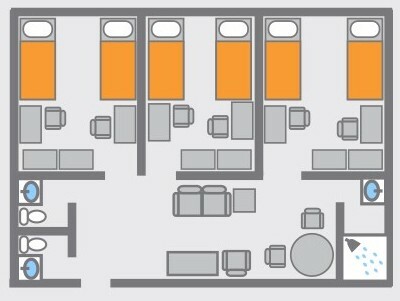 They share a common “living room” area, one shower, and two toilets. 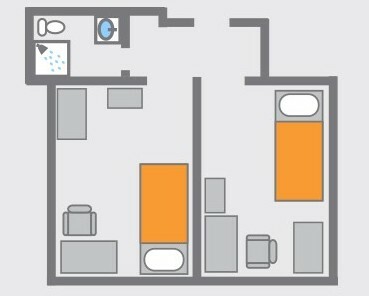 If you sign up for a single or 2-bed room, you will get this two bedroom suite with bathroom and shower. Each bedroom has its own locking door. If it’s just one person, only one bedroom door key will be provided, along with one set of linens and one breakfast voucher. No other guest will be booked in the second locked bedroom. Free and secure wireless internet. Breakfast vouchers for each night’s stay are included for The Oaks, an all-you-care-to-eat dining facility.